The analysis of the attacks by members of Red Army Faction (RAF) and the challenges for democracy in West Germany has been a promising and increasingly important field of study. Indeed, these aspects must be discussed, because democracy has a difficult task when it comes to its own defense. 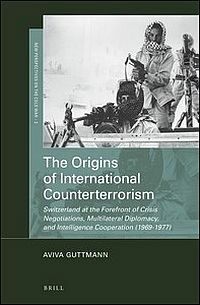 As the conflicts of West Germany in the seventies or the current problems of the USA have shown the combat against terrorism and in general many measures of counterterrorism cannot be done without risking a loss of legitimacy. It is true that the protection of civil liberties and the rule of law are often in danger. But Karrin Hanshew's intention - an assistant professor of history at Michigan State University - is to point out that the challenge of terror became the impetus for West Germans to draw new conclusions regarding the legitimate use of state violence within the Federal Republic of Germany. This is the reason why she "reconstructs the German debate over democracy's viability and defense order to reveal continuities and shifts in political culture that have otherwise been obscured" (8). The book comprises six chapters demonstrating the complexity of the topic, e.g. the disobedient Germans' "Resistance and the Extraparliamentary Left" (34), "The Security State, New Social Movements and the Duty to Resist" (152) or an examination of "Civility, German Identity, and the End of the Postwar" (236). The introduction begins with the development of the RAF. In this context the author details the dynamic of the process with events, persons, actions and reactions. Hanshew paints a different picture of the intensification of the conflicts, from the foundation of the RAF in 1970 and the aims of the illegal acts to communicate the vulnerability of the current state to the imprisonment of founding members. These captures moved the struggle to the prisons and the new wave of violence was the response to the death of Ulrike Meinhof on May 9, 1976. The "German autumn" of 1977 saw the assassinations of Attorney General Siegfried Buback in May and Dresdner Bank President Jürgen Ponto at the end of July as well as the kidnapping and murder of Hanns Martin Schleyer, the President of the Employers' Association, and his escorts in September/October. According to Hanshew terrorism "includes acts of political violence and the responses to them, and it involves not only violent militants and state actors but an entire society" (15). 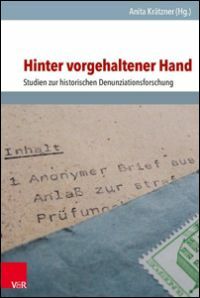 Chapter three draws the attention to the search for internal security, the government's program of "inner reform" and to "Mister Computer" - the nickname for Horst Herold, the President of the Federal Criminal Police (BKA) (110). Justifiably Hanshew writes the outbreak of terrorism was the unmistakable cloud darkening over the Social Democrats' (SPD) government. Short time before, the new chancellor Willy Brandt gave as proof for his liberalization concepts legal amnesty to those convicted as participants in the previous years' violent protests. Now faced with the challenge of terrorism, the SPD leaders did not hesitate to mobilize state forces against left-wing political violence. One result was the new SPD-FDP government gave modernizers the opportunity to implement police reform on a large scale and "terrorism gave them the excuse to do so, at a much faster pace than otherwise imaginable" (117). However it is not true that the President of the BKA and the head of the new computer technologies was a former KPD member (118); he was a social democrat. Especially in this context, it is more necessary to work out the counterterrorism measures and the correlations between the RAF intentions and reactions of government decision-makers respectively between society and mass media representation. The extent and effects of the anti-terrorism legislation from the SPD-FDP government, the numerous changes of laws and the bugging affairs in the seventies should not be underestimated. Reacting to the "emergency situation" of the state (§ 34 of the German Criminal Code), the security agencies and the number of staff were expanded. Technical capabilities were constantly improved and new police methods were reflected in increased control and security: Wiretapping, continuous observation, data processing systems in the dragnet, the computer database PIOS (persons, institutions, objects, things), and the use of undercover agents. Hanshew omits important contributions to the debate, namely the position of Peter-Alexis Albrecht, who says the intention of the dragnet was not to search for criminals because of previous acts of crime, but rather as a preventative measure. Adding another level of complexity to the conflict, not only the opposition but even the government had pressed for federal legislative responses that would hardly have been possible under other conditions. 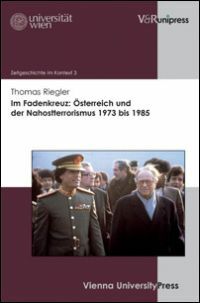 Undisputedly, there was a "not declared state of emergency", however the "crises management committee" (Grosser Krisenstab) and the "contact barrier act" (Kontaktsperregesetz) in 1977 proved otherwise. Finally this is still a very controversial argument among lawyers and historians today. The new rules - in a short time six laws with a total of 27 restrictions of the rights of defense together with relief for the law enforcement and prosecution by the Attorney - were constitutionally a balancing act. As Chancellor Helmut Schmidt quite frankly expressed: "I can only subsequently thank the German jurists that they have not studied everything constitutionally". In chapter six, the concluding chapter, there are many additional pieces of important information. 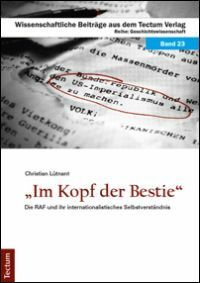 The author wants to prove to the reader that the "path to an offensive defense of democracy was cleared by the recognition of the West German order (...) as a legitimate project of reforms" (241). With this aim she enumerates a lot of examples, so the "Letters in Defense of the Republic" - written by Freimut Duve et al (240), the film "Germany in Autumn" from Rainer W. Fassbinder et al, the "imperative to establish a 'counter-public sphere' ... the taz, a major step in that direction" (245) and the developments in the ecological movement in 1977. Only three years later came the foundation of the West German Green Party (247). Although this information is all relevant and vital to the development of democracy in Germany, the chapter lacks a conclusion to the argument. 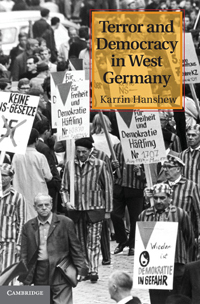 All in all the study of Karrin Hanshew describes differentiated the normalization of democracy's defense that accompanied West Germany's confrontation with terrorism at the end of the 1970s. 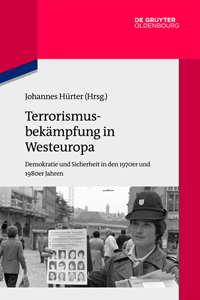 However her analysis in the context of the anti-terrorism-politics of the SPD-FDP government does not correspond completely to the current state of research of German contemporary history. It is right that to "end on a self-satisfied note would be unfortunate" (260). 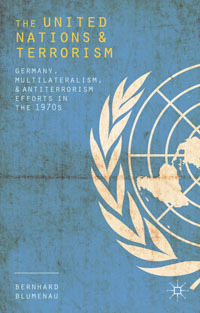 She continues, if "the example of 1970s West Germany has any insight to offer, however, it is that open dialogue between political decision makers and the public on the very issue of security and freedom can actually build consensus around democratic institutions and empower a critical civil society" (261). But this insight can be taken from any political conflict in any country in nearly any time. That is the problem. See Dieter Schenk: Der Chef. Horst Herold und das BKA, München 2000, 33, 42. Peter-Alexis Albrecht: Kriminologie, 3. Aufl., München 2005, 125.